Free Books…So Hard To Resist! Damn You, Amazon! Anyone who knows me will know that I’m not a fan of the e-book. The ‘K’ word makes me shudder. I like books. No wait, I LOVE books, physical books that you can touch and smell and crease the spines of. Real books that can sit on my real shelves not something digital and disposable like everything else is becoming. I don’t really want to get into the debate of e-books wiping out print because everything that needs to be said on the matter has been. There are definitely some pros to e-publishing I’m not debating that, but nothing can beat holding and loving a real book for me. I do however, get really jealous of all the free books you can get with a Kindle or any other e-reader. I love buying books from shops, whether it’s just Waterstones or an independent bookshop and I wish I could keep them in business but I can’t. I can’t justify spending £13 on a book when I can buy it on Amazon for £7. I don’t have that kind of cash. Most of my books end up coming from Amazon, charity shops & the odd car boot sale and http://www.readitswapit.com and I still end up spending a fortune. The lure of free books is really hard to resist so despite being unwilling to own a Kindle I do have the Kindle app installed on my laptop. Does that make me a hypocrite? I’m only rambling on about this because I saw an offer on my Twitter feed for a new version of Tristan and Iseult which I’d be interested to read. The paperback is £6.99 and the Kindle version is of course free. DILEMMA. I have a copy of Rosemary Sutcliffe’s version which is old (1971) and battered and I love it…it will undoubtedly be on one of my upcoming Favourites Friday posts so I won’t gush about it too much yet. I’ve given in and ‘purchsed’ a Kindle copy, if you can purchase something that is free but now I feel a bit guilty. Still, interested to see how they match up. You can ‘buy’ yours here. 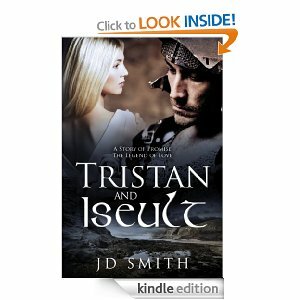 Author lipsyyPosted on June 29, 2013 Categories UncategorizedTags Book Editions, book rant, Free Books, Giveaways, Kindle, Medieval, New Releases, Reading, Romance, Rosemary Sutcliff, Tristan & Iseult3 Comments on Free Books…So Hard To Resist! Damn You, Amazon! So I went AWOL for a week, sorry about that. I’ve had some evil strand of the common cold, or Man Flu as I like to call it and it really knocked me for six. (Six what??) It also didn’t help that my Mum was visiting and we had loads of stuff planned so I had to man up and get on with it which probably hasn’t helped with the recovery process. But I did manage to have fun despite the feeling of impending death so all was not lost. I’m just starting to feel a bit more human now. Today was the first day I’ve had chance to pick up a book since last week too…I am officially the worst book blogger ever. Oh well. That being said, on Sunday, my lovely, crazy Mumsy and I went to the V&A to see the David Bowie exhibition David Bowie is and it was amazing. It also reminded me of one of my favourite books. Photo & Synopsis from Goodreads. Click to view. A meditation on the relationship between pop star and pop fan, this intriguing and thoroughly entertaining epistolary novel tracks a 30-year, one-way correspondence from devoted music fan Gary to rock icon David Bowie. Beginning as an angst ridden teenager, Gary writes letters to Bowie, sharing his thoughts on everything from Ziggy Stardust and Glass Spiders to his boarding school days and adult life as a husband and father. I like to think that this book would appeal to anyone, not just Bowie fans. I love how we enter into the world of Gary Weightman – a normal boy who is sent away to boarding school – through his letters to Bowie. He tells Bowie and, therefore us all of his secrets, his worries and his feelings on life and growing up. It’s a great coming of age story which reminds you just how passionate and intense only teenagers can be. And on the other hand it gives someone like me who wasn’t born around the time of Ziggy Stardust a first-hand account of the world’s reaction to David Bowie and the whole glam movement. The book chronicles all the way through to the release of the film Velvet Goldmine in 1999 (one of my favourite films) in which Gary writes an angry letter to Bowie chastising him for objecting to the film and not allowing his songs to be used. I felt exactly the same way. 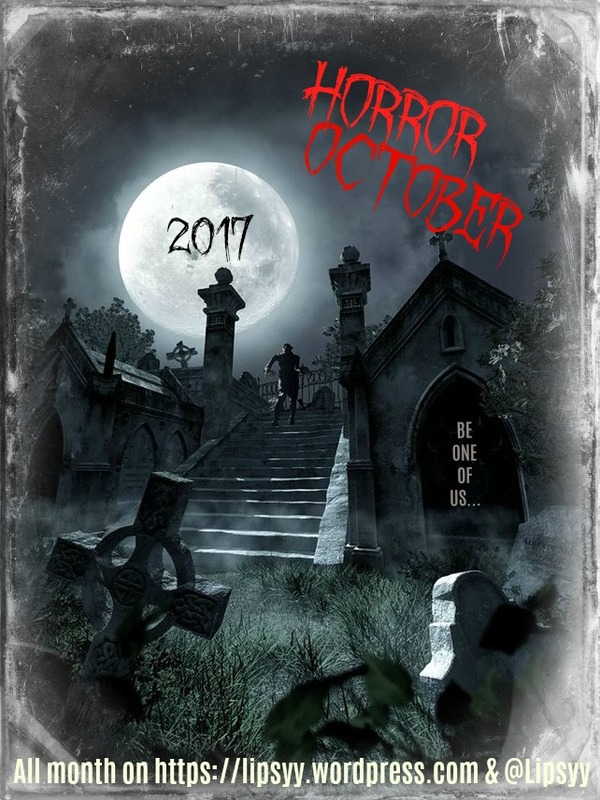 Upcoming Release & Book Giveaway Klaxon! I just stumbled across this STUNNING cover over at http://aliceinreaderland.com and I can’t stop looking at it. 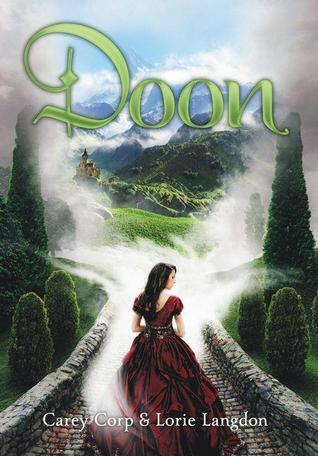 It also sounds like everything I would want in a book…Scotland, Enchanted rings, a mysterious boy…can not wait. Expected Release date is Aug 20th. Image and synopsis from Goodreads where you can also enter the giveaway! 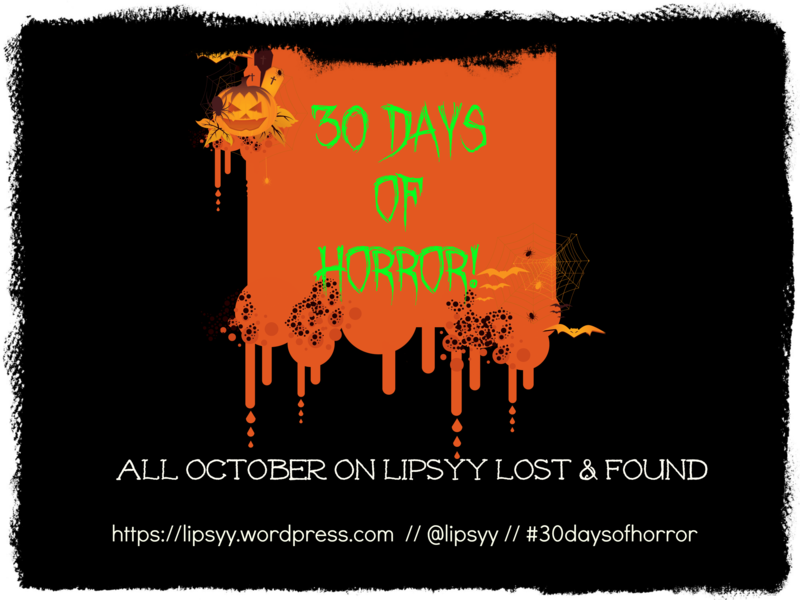 Author lipsyyPosted on June 20, 2013 August 23, 2013 Categories Uncategorized, Upcoming Releases & GiveawaysTags Book Covers, Fairy Tales, Giveaways, Goodreads, Magical, New Releases, Ones to Watch, Scotland, Sneak Peak, YA6 Comments on Upcoming Release & Book Giveaway Klaxon! Just a quick one today as I’m ill and really behind on work and other boring life stuff! Get the violins out! I kind of stopped reading this as I wanted to take something light (in both mind and actual weight) with me when I was travelling this weekend. I didn’t really get into the first 100 pages and have no idea what was going on, but I’ll give it another go. This is what I ended up taking home with me. It was good! Review to follow. I’ve been saying this for like 3 weeks now, but I really WILL read it next. Promise. Favourites Friday #3: Why I love James Frey, controversy be damned! Click to view on Goodreads. I love James Frey. I love what he says and how he says it. There, I said it. I thought I’d go for something a bit different for this week’s FF. It’s definitely not YA, or Paranormal, or Fantasy! But here are some of the reasons why James Frey is one of my favourite authors. 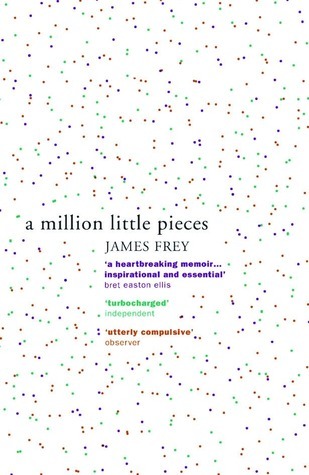 At the age of 23, James Frey woke up on a plane to find his front teeth knocked out and his nose broken. He had no idea where the plane was headed nor any recollection of the past two weeks. An alcoholic for ten years and a crack addict for three, he checked into a treatment facility shortly after landing. I didn’t know anything about A Million Little Pieces before I picked it up. I didn’t know it had been marketed as a memoir rather than fiction so I totally missed the whole hype and scandal because I never thought it was anything other than fiction; Fiction that I fell in love with instantly. There’s something about Frey’s streamofconsciousness style that I just can’t get enough of. It’s simple and fierce yet really beautiful in some way. The idea that someone who is beyond broken is doing everything he can to stay alive, and still manages to find beauty in the world and some kind of hope and faith is what really beguiled me. This book is also completely and utterly heartbreaking. You’ve been warned. I felt exactly the same about follow-up My Friend Leonard too. ‘A heartrending story of a friendship between a newly-sober James and the charismatic, high-living mobster he met in rehab, Leonard. I haven’t reread it as many times as AMLP but it’s still up there in my favourites list. Then, when Bright Shiny Morning came out I bought the huge hardback edition and was so excited to read it, but it was such a let down. Sad Panda. 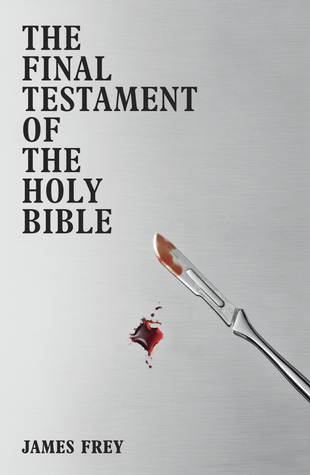 I was so disappointed that I didn’t even finish it, (I should really give it another go though) so I didn’t know what to expect when I heard his next book was titled The Final Testament of the Holy Bible. As I was waiting for the book to be released everything went a bit crazy. He’s been called a liar. A cheat. A con man. He’s been called a saviour. A revolutionary. A genius. He’s been sued by readers. Dropped by publishers because of his controversies. Berated by TV talk-show hosts and condemned by the media. He’s been exiled from America, and driven into hiding. He’s also a bestselling phenomenon. I have no doubt that the above quote (which is used on Goodreads as the start of The Final Testament synopsis) was just another promotional tool to create this ‘character’ of James Frey. 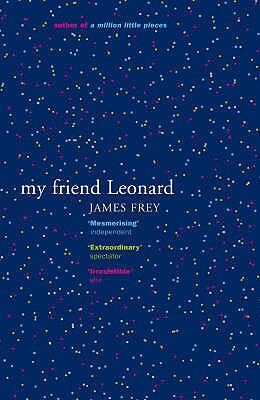 But for a few weeks everywhere I turned, Frey was being called the most hated writer in America, which just made me want to love the book even more. And I did. What would you do if you discovered the Messiah were alive today? Living in New York. Sleeping with men. Impregnating young women. Euthanizing the dying, and healing the sick. Defying the government, and condemning the holy. What would you do if you met him? And he changed your life. Would you believe? Would you? This is The Final Testament of the Holy Bible. Don’t get me wrong, I understand why this book created such controversy. Having a protagonist who many perceive to be Jesus reborn who insists that he’s just a man and that religion does nothing but spurn hate and will be the ultimate undoing of the world will do that. He also sleeps with almost everyone he encounters, not forgetting the men…shock horror! But seriously, come on. James Frey is a writer. It’s fiction. If you don’t like the subject matter don’t read it, but leave the poor man alone. The Final Testament has its flaws. It gets pretty ridiculous and it repeats itself a tad (love is all that matters, yadayadayada), but I felt the same way reading this as I did AMLP- It just spoke to me. I get what he’s trying to say and I like it. Author lipsyyPosted on June 14, 2013 August 23, 2013 Categories Book Reviews, Favourites FridayTags A Million Little Pieces, Alcohol, Authors, book rant, Controversy, Drugs, Favourites Friday, James Frey, lgbt, Rehab, Religion4 Comments on Favourites Friday #3: Why I love James Frey, controversy be damned! It’s Hump Day again…it might not be Friday yet but at least it’s not Monday either. I’m especially longing for the weekend this week because I’m going home to see my family. There’s a folk festival on in a little village near my hometown on Saturday and we’re having a *do not jinx the weather* BBQ for father’s day on Sunday. IS IT FRIDAY YET? Nope, guess I’ll have to waste some time with a WWW Wednesday then. 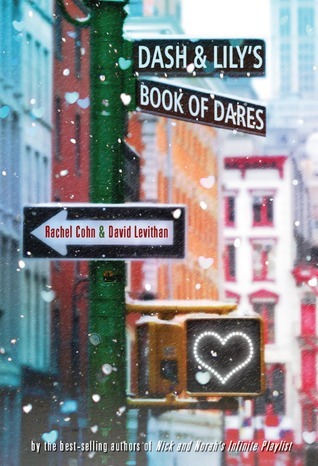 Dash & Lily’s Book of Dares by Rachel Cohn & David Levithan. See my review here. 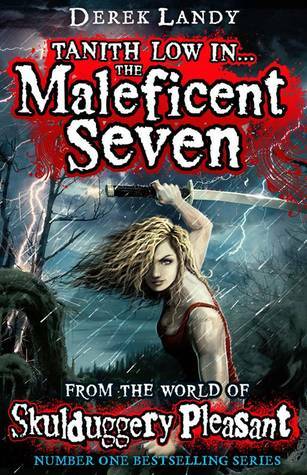 I love the Skulduggery Pleasant series so I’m eager to read this Spin-off. Leave a link to your post! 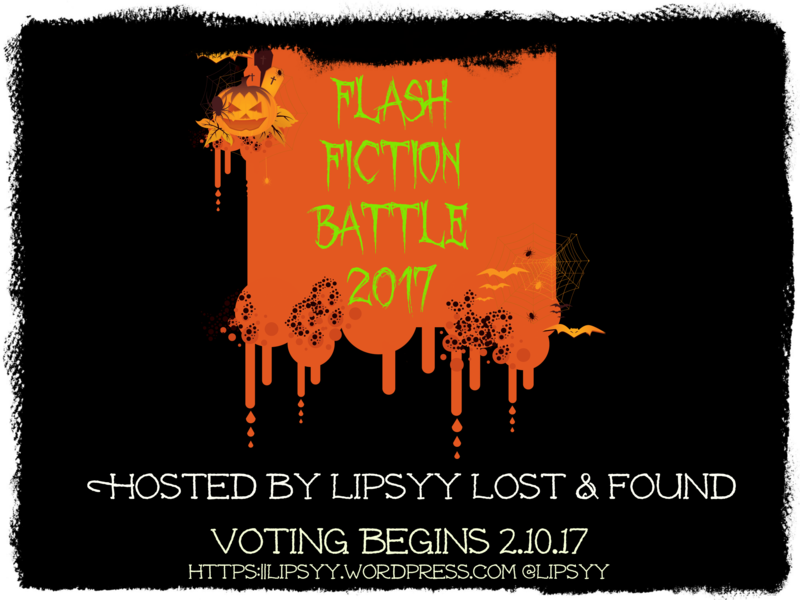 Author lipsyyPosted on June 12, 2013 August 23, 2013 Categories Uncategorized, WWW WednesdaysTags Books, Currently Reading, Fantasy, New Releases, WWW Wednesday, YA18 Comments on WWW Wednesday! I was a little, tiny bit disappointed about Dash & Lily’s Book of Dares. That’s not to say that I didn’t enjoy it, I did, but it just didn’t live up to the standards of Nick & Norah’s Infinite Playlist. Once again Rachel Cohn & David Levithan collaborated on this with Rachel writing Lily’s chapters and David writing Dash’s. I wonder if they’ve ever thought about doing it the other way round?? Dash’s is 100% Levithan – Cute, geeky and sensitive in a hot way, and pretty metrosexual. I haven’t read any other Rachel Cohn so I can only compare Lily to Norah…I was expecting a similar character- quirky, insecure and feisty- but she was just a bit of a let down. I’m glad she was different, don’t get me wrong, she’s not supposed to be Norah but I think the main reason I didn’t LOVE this book is because me and Lily just wouldn’t get on. She wears her school uniform in the Christmas Holidays (who does that?). She is just SO nice it’s sickening. She doesn’t even approve of swearing. I don’t think we could be friends. And I don’t think she’s a good match for Dash. Lily does love Christmas though, as do I, so you’d think that would endear me to her. But no. I love Christmas. I love everything about it: the lights, the cheer the big family gatherings, the cookies, the presents piled high around the tree. The goodwill to all. I know it’s technically goodwill to all men, but in my mind I drop the men because that seems segregationist/elitist/sexist generally bad ist. Goodwill shouldn’t be just for men. It should also apply to women and children, and all animals, even the yucky ones like subway rats. I’d even extend the goodwill not just to living creatures but to the dearly departed, and if we include them we might as well include the undead, those supposedly mythic beings like vampires, and if they’re in, then so are elves, fairies and gnomes. She is so different to Norah that I couldn’t even picture her as Kat Dennings whom I’m a bit obsessed with so that was disappointing too. She just didn’t fit. There are definitely flashes of brilliance though. One of the first things I didn’t like about the story is that Lily is basically a fraud. Dash has found the notebook and is traipsing all over New York during the holidays to fulfill these dares, and here he is thinking he’s met this quirky, clever, slightly insane, out-spoken girl (he’s clearly picturing Kat Dennings too) when really the whole thing was her brother’s idea and she’s just sort of going along with it. But then, I guess that’s what it’s like when when you’re just getting to know someone. You find out one thing about them and it defines who they are to you. If you ask me, first impressions are worthless. I mean like most guys, you carry around this girl in your head, who is exactly how you want her to be. The person you think you will love the most. And every girl you are with gets measured against this girl in your head. So this girl with the red notebook- it makes sense. If you never meet her, she never has to get measured. She can be the girl in your head. I think Dash would agree with me. I wanted to write it down. I wanted to share it with Lily, even if Lily was really just the idea I’d created of Lily, the concept of Lily. . . I sat back and let my thoughts flow out. Not directed at her this time. Not directed at all. It would be just like water, or blood. It would go wherever it was meant to go. Overall Dash & Lily is a really enjoyable read, just don’t expect it to be as poignant (I really hate that word but there’s no better in this case) or as beautiful as Nick & Norah. I give Dash & Lily's Book of Dares 3 unicorns (out of 5 unicorns). It would be 3.5 unicorns but I can't cut a unicorn in half, that would be devastating.